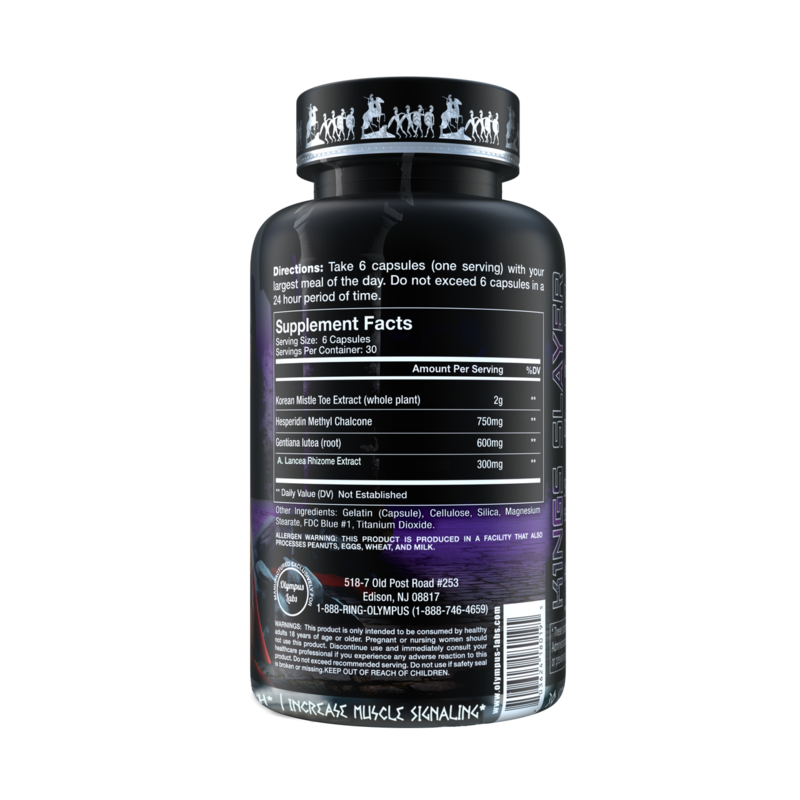 Stimulates key growth pathways to accelerate lean body mass formation. There is no supplement on the market which offers such a comprehensive, clinically dosed combination of ingredients to support key growth pathways, amplify muscle protein synthesis, increase hunger levels and boost your body’s digestion capacity. This combination of effects will turbocharge your ability to increase performance, recover quicker and produce lean gains at a significantly enhanced rate. Regardless of whether you are bulking or cutting, the huge range of benefits this product offers is sure to benefit you in one way or another! K1NGS SLAYER will work to progress your goal to increase lean muscle gains, enhance fat loss and preserve your hard-earned lean mass during a calorie deficit. This product can be used by both men and women over the age of 18 years who are interested in a natural, non-suppressive product to assist with reaching their goals, whatever they may be! Featuring a potent, highly specialized custom Korean Mistletoe extract, an innovative ingredient which Olympus Labs has introduced to the supplement industry! It can stimulate ATP, Lean Mass Growth and Enhance Exercise Performance. Other unique ingredients in K1ngs Slayer include Gentian Root Extract 10:1 and A. Lancea Rhizome Extract. Both of which have been shown to increase appetite by stimulating secretion of appetite and other key pathways of growth, which also translates to increased acquisition of lean body mass. Finally, the formula is completed with Hesperidin Methyl Chalcone, a sugar molecule capable of influencing muscle formation. The K1ngslayer formula targets a comprehensive array of pathways in the body, which act in concert to amplify your body’s internal muscle formation machinery. Olympus utilizes plant extracts that are extrapolated exactly from the respective clinical studies. Unlike other companies who use very poor an unreliable ratio extracts (such as 50:1 or 100:1), where by nobody really knows what actives are present in the output material and in what concentration they are present. The user can feel assured that the active compounds presented in the clinical data are present in the product! Consume 2 capsules, three times a day. For optimal digestion enhancement, take 2 capsules 20 minutes prior to your three largest meals of the day.